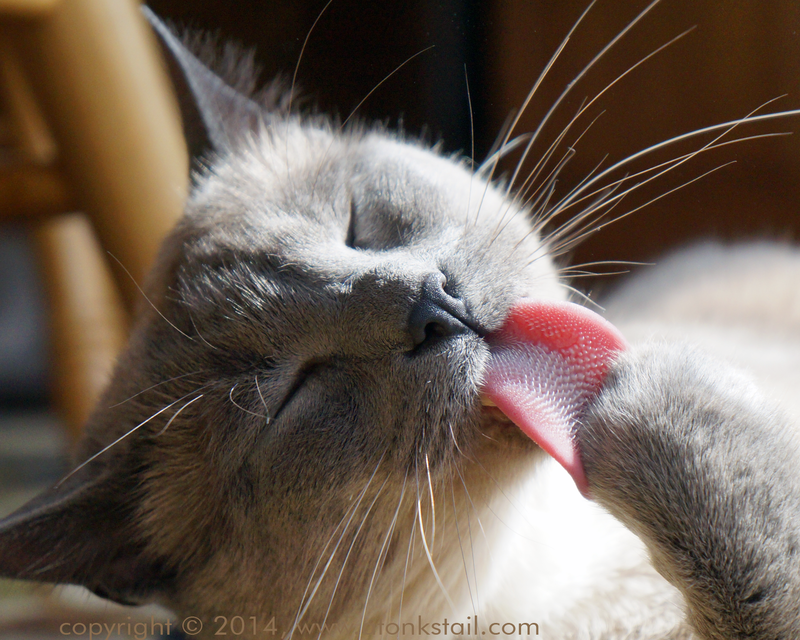 A Tonk's Tail... err, Tale...: Thursday Trivia: Cat got your tongue? How many of you grew up with this phrase? It was most often said by an adult, and - at least in our home - frequently delivered in a teasing manner toward a child suddenly shy around newcomers. Or perhaps it was delivered in a chiding tone, when you were caught doing something you shouldn’t? The phrase isn’t all that old, actually. Maxwell wonders whyever anyone would think a cat would want a human tongue, when he already has a perfectly serviceable one? Jacksonville Journal Courier (Illinois), 23 January, page 2. McGraw-Hill's Dictionary of American Idioms and Phrasal Verbs, Richard A. Spears, McGraw-Hill, September 1, 2003. Phrases.org: Cat Got Your Tongue? BOL funny Patty's comment. Have a tremendous Thursday. Love the tongue action shots! 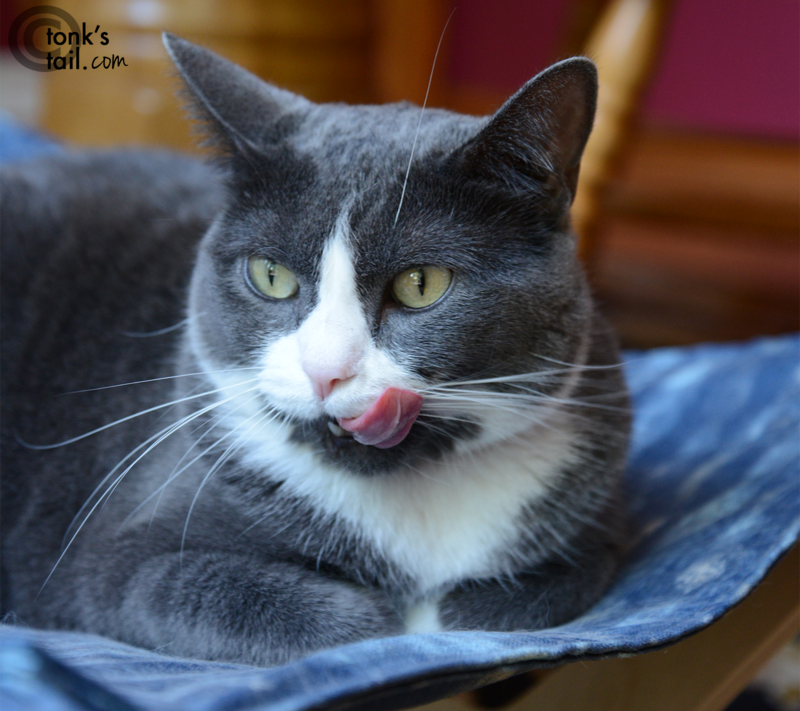 I agree with Maxwell - cat tongues are WAY better and more useful than human tongues! That is a very interesting series of facts! dood...grate groomin fotoz close up !!! I guess you kitties could do a double bath with a second tongue? We thought this saying might have had to do with the German candies! It's interesting to hear where it really came from. We always wondered why humans used this expression. Thanks for the trivia! Maxwell you sure do look make mom squeeeeee!